The City of Keller has been experiencing a strong, growing economy, and since 1996, the Keller Independent School District has opened 12 new schools. Among the explosive growth came the need for an aquatic complex that would complement the programming needs and objectives of the School District and community at large. In 2003, the 36,720 sq. 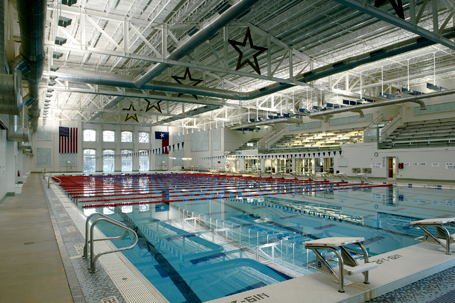 ft. Keller Natatorium (located in the Town Center) was completed.